HomeWorld Championship 2018 – Day 12 – SF: Hawkins, Williams, Wilson and Higgins. World Championship 2018 – Day 12 – SF: Hawkins, Williams, Wilson and Higgins. Barry Hawkins reached the semi-finals of the Betfred World Championship for the fifth time since 2013 by beating Ding Junhui 13-5. World number six Hawkins fired two centuries and eight more breaks over 50 in an emphatic win over third seed Ding. London’s 39-year-old Hawkins now meets Mark Williams or Ali Carter over 33 frames on Thursday, Friday and Saturday for a place in the final. 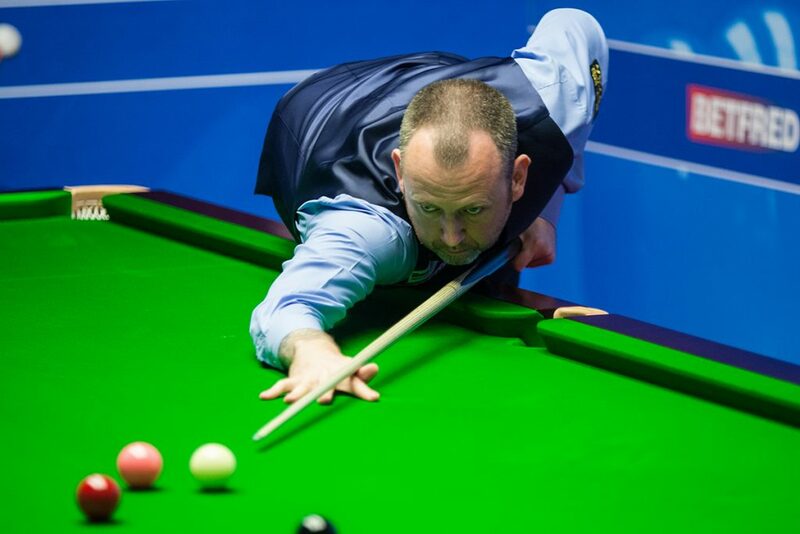 Crucible specialist Hawkins has now won 18 matches at the famous venue since 2013; no other player has won as many matches over the same period, including three-time champion Mark Selby. That’s a remarkable turnaround for a player who lost in the first round in his first five appearances at the Crucible from 2006 to 2010. 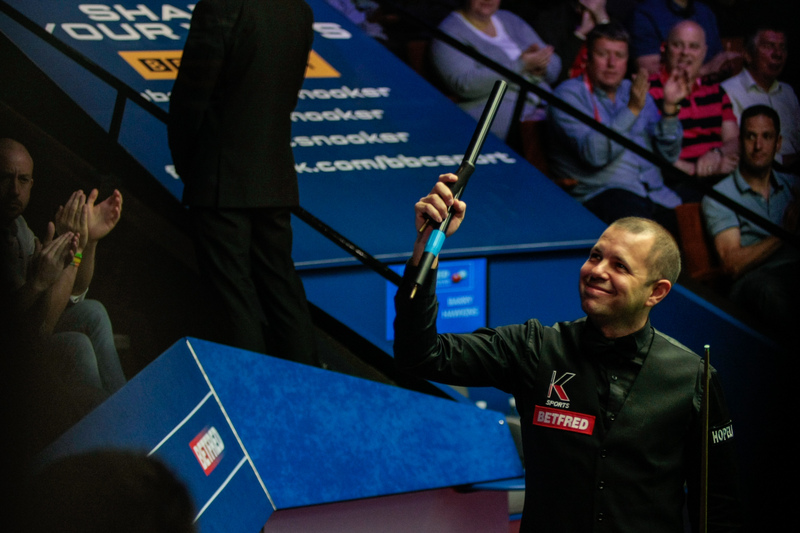 With a tremendous all round game and steady temperament, three-time ranking event winner Hawkins has all the attributes to go one step further than he did in 2013 when he lost to Ronnie O’Sullivan in the final. He led 11-5 going into today’s final session, and won a scrappy opening frame today before finishing the match with a break of 117. 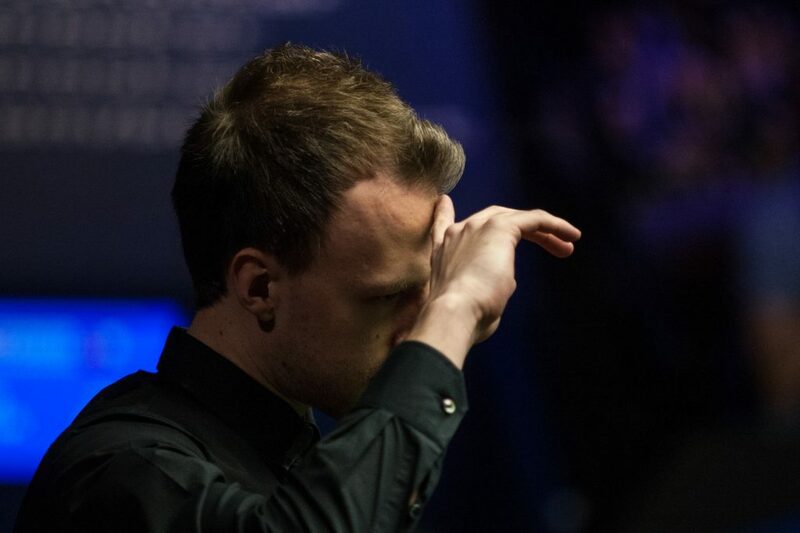 “It’s a little bit surreal really,” said Hawkins, who made a slow start to the current season but showed consistency in recent weeks by reaching the final of the Welsh Open and China Open. “I was expecting a really tough game there from Ding, but I got a nice bit of momentum and to beat him 13-5 is a great result. “I felt like he gave up in the end, his body language suggested that he didn’t fancy the job today. It was important for me to get it over and done with because a lot of funny things can happen in this place. I’ve got to give myself credit. I put him under pressure, and he wasn’t used to that in this tournament so far. “Even though I’m playing well now, I know how easy it is to have a bad couple of sessions and before you know it you’re going home. I can’t get too carried away because I know exactly what can happen. I’m in the semis, there will be only four of us left, and I’ve got a chance. China’s Ding will have to wait another year to continue his quest to become the first Asian player to win the world title. He said: “I missed too many chances in and around the black ball area. My position wasn’t good. I didn’t put enough pressure on Barry and he punished me heavily. “Some days you play well, some days are different. I tried to play well and score heavily but what can I say? It wasn’t working out there. “Barry’s got enough experience here. He’s got a good record here and he’ll have a lot of confidence to go on and win it. 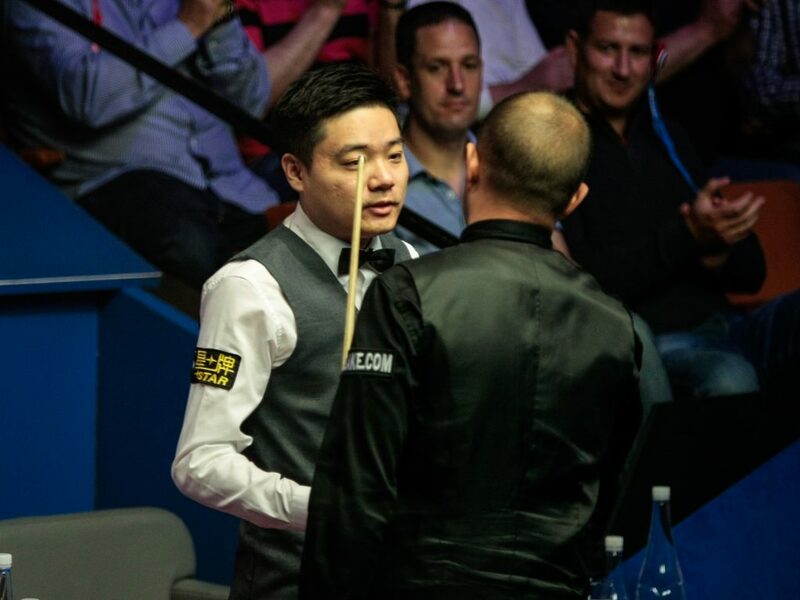 Ding’s performance was quite terrible to be honest, and whatever he says, the general feeling, including in the ES studio is that he gave up in this match, and very early too. There seemed to be no fight in him whatsoever as soon things weren’t going his way. This was the first real test he had and he collapsed big time. Unless something changes in his mindset he will never be World Champion. 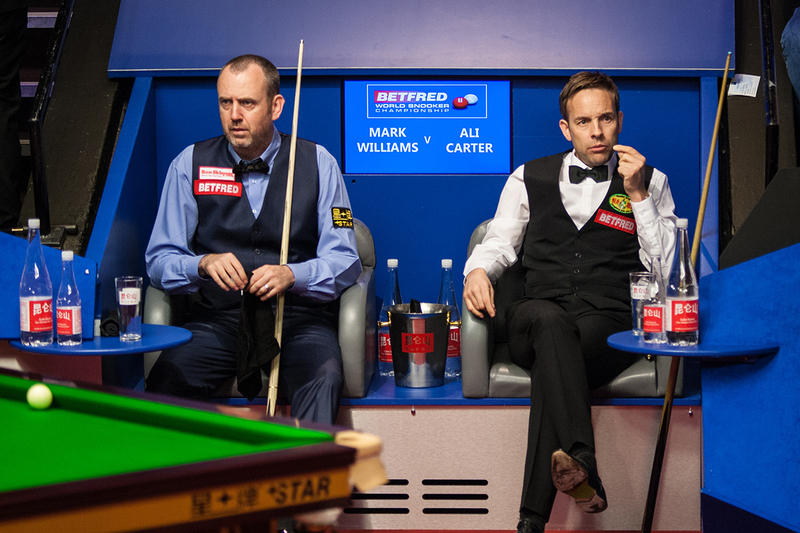 Mark Williams reached the semi-finals of the Betfred World Championship for the first time since 2011 by beating Ali Carter 13-8. Welshman Williams has had his best season for 15 years, winning two ranking titles, and is now finishing the campaign in style on the biggest stage. He pulled away from Carter to win five of the last six frames and earn his sixth Crucible semi-final. World number seven Williams, age 43, will face Barry Hawkins over 33 frames on Thursday, Friday and Saturday for a place in the final. Champion in 2000 and 2003, Williams is aiming to become only the sixth player to lift the famous trophy in Sheffield more than twice. 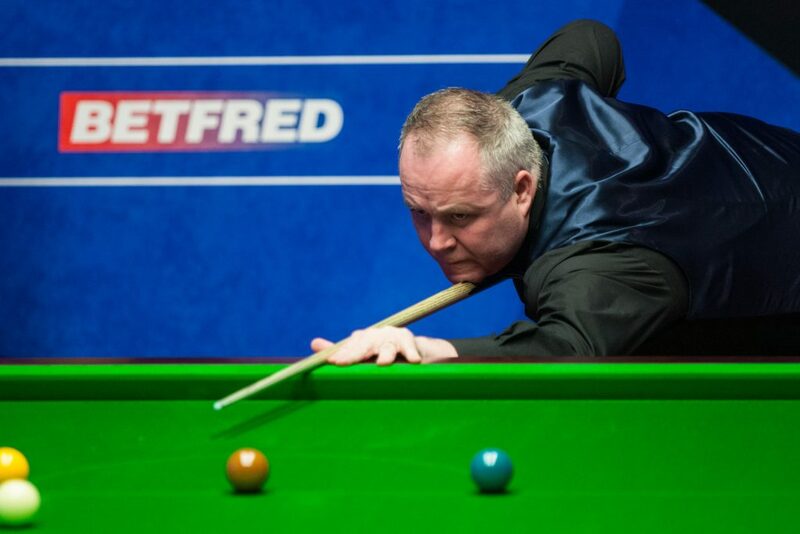 Williams insists that he contemplated retirement at the end of last season, but he has found a new lease of life this term and is playing his best snooker since he won all three Triple Crown events during the 2002/03 campaign. He led 9-7 going into the final session and took the first frame tonight with a break of 83. Carter, who knocked out Ronnie O’Sullivan in the previous round, made a 51 in the next but Williams crucially cleared the colours to go 11-7 ahead. World number 15 Carter pulled one back with a 54 but could barely stem the tide as his opponent made a 113, his fourth century of the match and eighth of the tournament, to make it 12-8 at the interval. And Williams soon closed out victory by taking a scrappy 21st frame. “It’s going to be special – I’m going to enjoy this semi-final more than any other because the tour’s getting stronger,” said Williams, who didn’t even qualify for the Crucible last year having dropped out of the top 16. “I’m getting older and I don’t know how many more years I’ll be getting to semi-finals. “I’m playing the best stuff I’ve played in donkeys’ years. I’m playing with a lot of confidence, I’m relaxed, I’m throwing frames away and I couldn’t care less. I just get on with it and forget about it like I used to back in the good old days. I felt in control of myself all throughout the match. I never felt like I was going to lose. “I haven’t played Barry Hawkins in a long time. He produces his best stuff here so it’s going to be a tough game, but I don’t really care who I play. I’m just over the moon to be in the semi-final. Sometimes you can get a bit nervous going out there but not me, I just cannot wait to get out there. Carter, who was runner-up in Sheffield in 2008 and 2012, said: “Mark played really well, I just felt like I was hanging on in there. We all want to win this so bad. It’s so important and it’s an opportunity missed. It’s been a positive end to the season. “I’ll take a lot of confidence from beating Ronnie O’Sullivan but I’m looking forward to having a couple of months off now and then regrouping for next season. I didn’t see much of this one, but for what I saw, “Willo” is playing really well and is very laid back. He will be dangerous. He promised to come naked to his press conference if he wins the title. I’m not sure if this prospect will gain him supporters … personally I’m not a big fan of heavily tattooed guys. Nevertheless I would be very happy to see him lift the trophy! 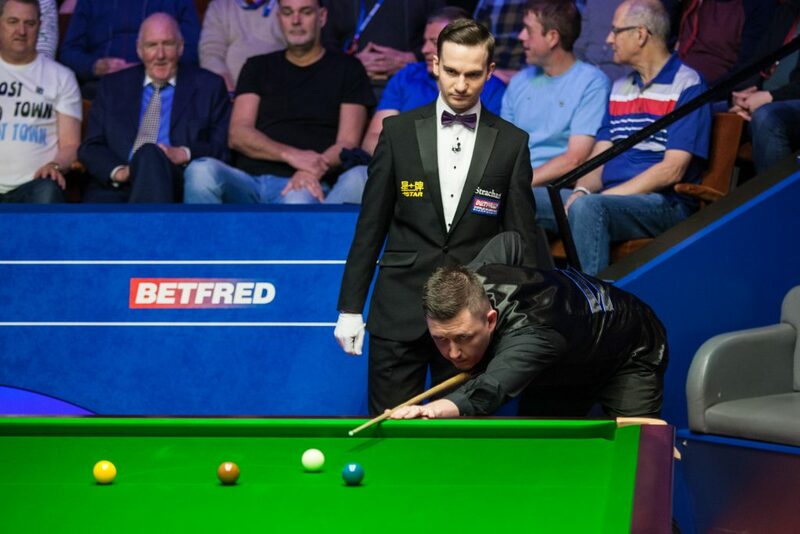 Kyren Wilson is through to the semi-finals of the Betfred World Championship for the first time after defeating Masters champion Mark Allen 13-6. The showdown with Allen was a repeat of the 2018 Masters final, which took place at Alexandra Palace in January. On that occasion Wilson lost out 10-7, but he gained his revenge today in an emphatic style. Kettering’s Wilson, 26, is now just two victories away from becoming the youngest World Champion since 2005 when Shaun Murphy lifted silverware at the Crucible as a 22-year-old. The Warrior will fancy his chances of achieving that feat after progressing beyond the last eight at the third time of asking, having lost quarter-finals in 2016 and 2017. Defeat for Allen ends his hopes of making a first semi-final appearance since 2009, when he lost out 17-13 in a tremendous battle with John Higgins. Wilson came into this afternoon requiring just two frames for victory. A stunning performance yesterday evening saw him take seven of the eight frames to establish a commanding 11-5 advantage. Northern Ireland’s Allen took the opening frame of the afternoon to close the gap and make it 11-6, but that did little to deter Wilson. The Englishman fired in a break of 48 as he moved one from the win and a run of 53 in the next helped to wrap up a momentous victory. 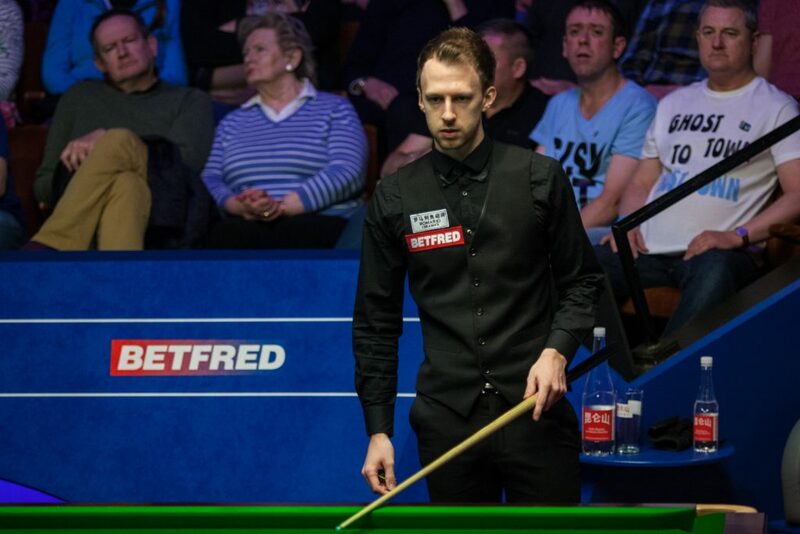 Wilson will now face a semi-final against either four-time Crucible king John Higgins or eight-time ranking event winner Judd Trump, who Wilson defeated to lift his only ranking title to date at the 2015 Shanghai Masters. Wilson said: “It’s a very special feeling. You dream of playing at the Crucible in the one table set up. It’s a personal goal I’ve now reached, so I’m very pleased and very excited to experience it. “Mark told me to enjoy the one-table set up, play well and that he hopes I win it. It was very nice of him. He came into my dressing ro om straight after and wished me well, which shows the class of the guy. Afterwards Allen gave a frank assessment of his performance, saying: “I was rubbish really from start to finish. I never felt involved in the match in any way. I felt quite flat, and for the quarter finals of a World Championship it’s pretty embarrassing to say that. There was very little intensity there. “It’s something that I’ve got to sit down with my coach Chris Henry and talk about. I never really got into that match mentally. It was like I was watching it from the outside looking in. This is another match I only watched in chunks. Kyren Wilson played well for what I saw, but indeed Mark Allen was flat. I honestly believe that the best thing Mark Allen could do for his career and for himself is to work on his fitness and his diet; that would improve his stamina and it’s all he’s lacking IMO. 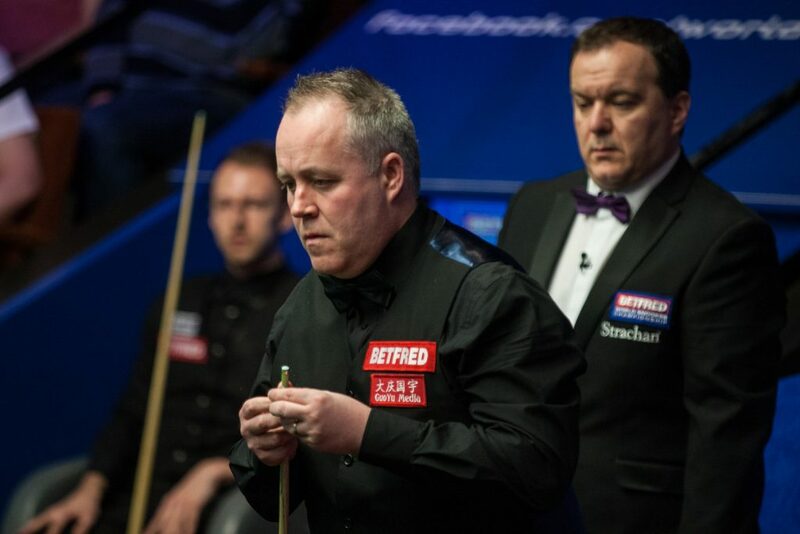 John Higgins was victorious in one of the greatest ever Crucible quarter-finals at the Betfred World Championship, as he sealed a thrilling 13-12 win over Judd Trump. On a night of tension in Sheffield, the steely Scot typically summoned some of his best snooker at the business end of a match which he trailed for the majority of. Incredibly out of the six deciding frames the four-time Crucible king Higgins has been involved in at the World Championship, he has now won five. They came into this evening locked together at 8-8, after the Scot fought back in the second session from 7-3 down. Tonight’s action transpired in a similar manner, with Trump seizing the early initiative. He claimed the first two frames to make it 10-8. Higgins pulled one back and there was then a dramatic 20th frame. It came down to a safety battle on the final pink, which Trump eventually edged before depositing the last two colours to go 11-9 ahead. The Ace in the Pack punched the air as he left the arena. When they returned it was 30-time ranking event winner Higgins who turned up the heat. Breaks of 75 and 72 saw him force his way back level at 11-11. He then compiled a sensational run of 134 to move to the verge of victory at 12-11. 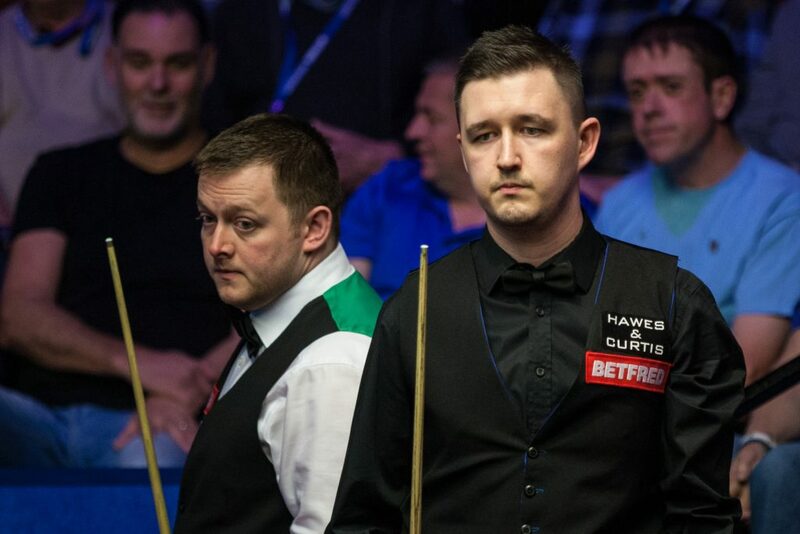 Higgins looked set to secure the win until he broke down with just three reds left. Trump stepped up by making an incredible clearance of 40, which included a nerveless cut-back black to get onto the last yellow. In all came down to a nail-biting deciding frame. However, Higgins dealt with the substantial pressure and got over the line to reach the last four thanks to breaks of 43 and 41. It is another tough defeat on the big stage for 2011 UK Champion Trump. He suffered a similarly agonising loss in his Masters semi-final in January, when he was beaten 6-5 against Kyren Wilson. 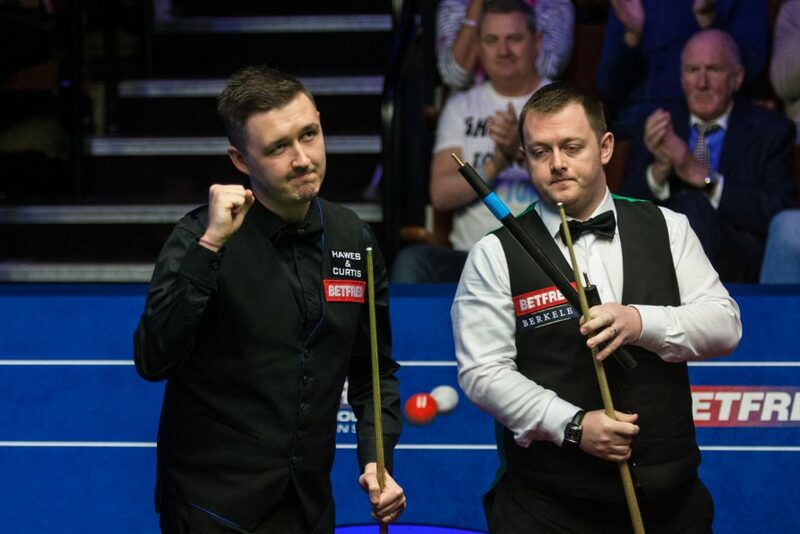 This is the ninth time Higgins has reached the last four at the Crucible and the illustrious Scot will now set his sights on a seventh World Championship final when he begins his semi-final clash with Kyren Wilson tomorrow afternoon at 1pm. Higgins said: “I couldn’t really stand up straight at the end there. It’s an unbelievable venue, even if I had lost that match, the buzz was incredible. It was just a great feeling. I don’t know how many more times I’ll be coming back and having those feelings. “I think the reason I won was that I just enjoyed it. I was thinking that even if I had lost, this might have been Judd’s time to win it. It must be heartbreaking for him, you see his Mum and Dad up there, and it is tough. I know what that is like, but personally to come out having won is a brilliant feeling. “He was the better player in that match, I was just hanging on his coat-tails. He must hate the sight of me, but he will win the World Championship without a shadow of a doubt. He’s such a great all-round player now, his tactical game doesn’t really get talked about, but he plays some great tactical shots as well. Along with his potting capabilities, he’ll definitely be back to win it. A disappointed Trump said: “I’m 28-years-old now and I need to start winning these tournaments if I want to be the best. I take no positives from losing. In the end I should have been tighter in the last frame, but the way he pots balls under pressure, I don’t think there’s anyone else who would even take those balls on, not even Ronnie O’Sullivan. I think he’s probably the most calm under pressure in the game. And those who follow me on twitter will know that I badly wanted Judd to win this match. And now I will support Kyren Wilson in the semis !